If you are thinking of moving next spring, it might surprise you to know that NOW is the best time to choose your new home for March and April move-in dates! Check out The Canoe Club, Fayette County’s #1 Community for 2014, 2015 and 2016! The Canoe Club has certainly been the most “sought after” community in the entire Fayette County area and with good reason. The Canoe Club has an award winning builder group and offers a generous offering of homestyles. With a lifestyle that is meant to love, come home to over 600 picturesque acres and 2 spectacular freshwater lakes, Menawa and Senoya. 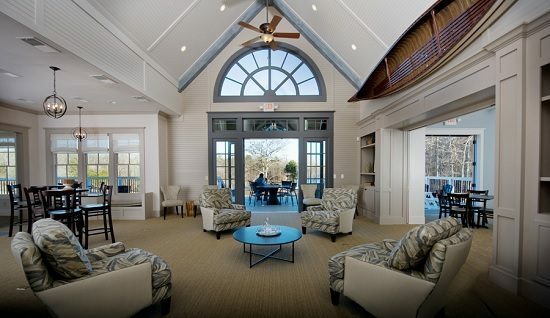 Envision the 5,500 square foot Nantucket-inspired Lake Cottage overlooking the lakes with a large gathering room, sunroom, catering kitchen and coffee bar with the bird’s eye view above. Be in place to enjoy the four-lane lap pool next summer ,enjoy a game of tennis on the lighted tennis courts or just enjoy the lakeside wharf dock and canoe storage plus a 24 hour fitness center.Take a peek at the community video here.